These are some questions you should ask before accepting a prescription for antibiotics. 1. Does this illness REALLY require antibiotics? 2. Without antibiotics, what are the potential complications of this illness? Also, how likely are these complications? Can they occur even if we use the antibiotic? 3. What antibiotics are available for this illness? 4. What are the side effects of the chosen antibiotic? How likely are the milder side effects? How likely are the more severe side effects? What do we do if we experience them? 5. What is the infection recurrence rate with and without antibiotics? Is infection recurrence a side effect of this antibiotic (it is in some cases, so ask!)? What are the chances of a secondary infection with and without antibiotics? 6. What are long-term side effects of antibiotic use, especially repeated use? Will side effects last for several weeks? Are opportunistic infections likely or common with this antibiotic? Is there any way to fight these side effects after the course of antibiotics is over? Do the benefits of taking this outweigh these risks? 7. Are there other ways to treat this illness successfully besides antibiotics? 8. How long has this antibiotic been in use? Is it safe? How often is it prescribed to people this age (insert your age, your child’s age, etc.)? Are there any known issues with resistant bacteria with this antibiotic? 9. How is this antibiotic to be used? How will we know if it is working or not and what should we do if we have questions? 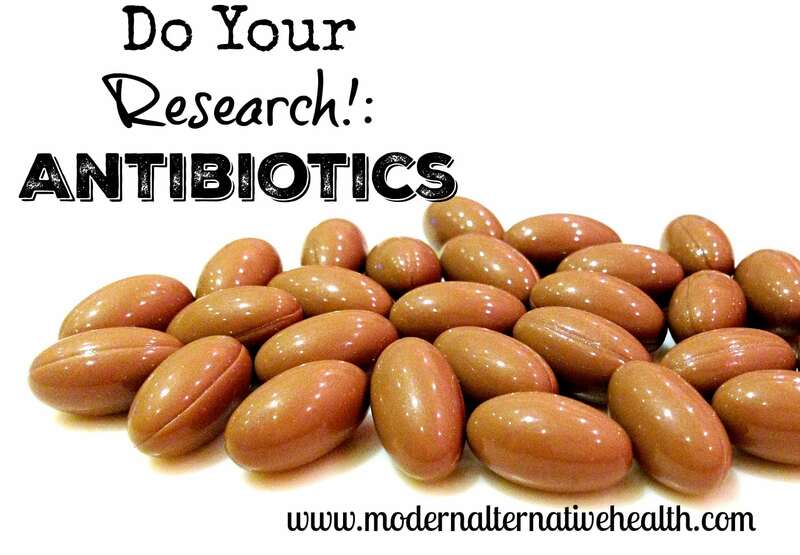 Have you done your research on antibiotics? Quick question—do you have an opinion about not using antibiotics for a birth when you are Strep B +? I was with my first and had 10 or 11 doses…yes, long labor. This time we are using a birth center (very home birth like) and will not have access to antibiotics unless we transfer to a hospital. I am positive again and would love any information you have! All "mainstream" sources I found simply say "Group B strep is dangerous, use antibiotics" but they do not cite any studies or statistics so I’m not including them here. Heather-I’m currently prego with my third and was -GBS with my first then positive with my second and now I’ve had a GBS UTI for this one. I have refused antibiotics for my last pregnancy and even antibiotics for the UTI found for this one. My midwife was quite impressed that I managed to “cure” my UTI through natural means. She said that its REALLY hard to do. (Oh btw I tested positive at labor for my last and she was born healthy with no problems.) I have spend the last few years researching this one out. I think there are a few things to consider and look into. One is if you have had a hospitial birth the chances of you “catching” GBS increases, especially if your midwife/ Dr is with you and another patient that has GBS at the same time. (I think this happened to me.) Another thing to consider is GBS is an overgrowth of bad bacteria in the gut. Researching gut health is really important for this one and seems to be the key I was missing with my last pregnancy. Lots of probiotics and no refined sugars and refined flours. (GBS feeds off of the bad stuff we eat in our diet, which when I’m prego I seem to crave more of). I’m kind of guinea pigging myself on this whole thing and eating right and exercising and taking a good garlic, probiotic and vit C supplement and so far it seems to be working. The total treatment that I’m doing got rid of my UTI anyway. (My midwife only gave me one shot. If it came back neg again I would of HAD to take the antibiotics to stay with her.) I think I got my more mainstream midwife thinking a little outside of the box too. I’m trying to get her to do some more testing so I can keep track of things. If I can keep it away for the rest of pregnancy than I will KNOW what I’m doing is working. It’s hard to keep that strict of a diet and exercise and keep up with the supplements but that’s how against prophylaxis (preventative) antibiotics I am and I’m willing to do it for my baby . Good luck! Research everything, because you have to be convinced in your own mind that what you are doing is right for you and your baby. Oh another thing I’ve learned…make sure when you give a urine sample it’s a “clean catch” GBS can show up and say that you have a UTI when really it was just a contaminated sample. And just because there are white blood cells in your urine does not automatically mean you have a UTI. It should always be sent out to be cultured to determine if the white blood cells are from a bacteria like e. coli or GBS. Your body cleanses itself through your urine so white blood cells can be common.